Charles Carroll, who would later become known as Charles Carroll of Carrollton, senator and Signer of the Declaration of Independence, was every bit as brave and selfless as his accomplished ancestors. Quite befitting ancestry for an American revolutionary, Charles Carroll of Carrollton descended from revolutionary Irishmen once known as the O’Carrolls. It is said that the O’Carrolls trace their ancestry to the early Irish kings, the Ó’Cearbhaill chiefs of Éile. It is also said that Charles Carroll’s line descends from Irish rebels. While this speculation is supported by certain genealogical records, it is confirmed that Charles Carroll’s grandfather, Charles Carroll, known as Charles the Settler, immigrated to Maryland in 1659. A friend of Lord Baltimore, Charles the Settler hoped that Maryland would provide refuge from the anti-Catholic sentiments that pervaded Ireland. Shortly after arriving, the Settler established himself as a man of wealth and social prominence. Charles the Settler held numerous prestigious positions in the new world, including, Attorney General, Register of Land and Receiver General of Customs. The land grants received by Charles the Settler in 1706 enabled his son, Charles Carroll of Annapolis, to develop the family domicile, Doughoregan Manor. Construction on Doughoregan Manor began in 1725 and the manor was subsequently run in a way that made the estate was not only self-sufficient but also profitable. From the very moment that Charles Carroll of Carrollton entered the world, on September 20, 1737 he was destined for greatness. As he grew older, he understood that his father, Charles of Annapolis, would settle for nothing less. The elder Carroll wanted nothing more than for his son to become a productive and upstanding Marylander, and it was through a Catholic education that he would develop into such a citizen. Charles Carroll was initially home-schooled because Maryland severely restricted the rights of its Catholic citizens. He was then sent to Bohemia Manoracross the Chesapeake Bay. There, he was introduced to the children of other prominent Maryland Catholics. When young Charles was deemed academically prepared, his trunks were packed and he made the long journey to St. Omers School in France. At twelve, Carroll may have been academically prepared, but it is highly unlikely that he could fully comprehend the reality that he would not set foot on his native soil for another fifteen years. Although he must have faced periodic bouts of homesickness, Charles bloomed academically and socially at St. Omers. He demonstrated particular gifts for the French language, literature and philosophy. St. Omers unarguably provided Charles a very solid Jesuit education as well as valuable social contacts. A high percentage of Charles’ classmates and peers were Catholic boarding students sent from the colonies. Charles maintained lifelong friendships with the other Marylanders in his year. During his son’s absence from the manor, Charles of Annapolis was careful to keep the younger Charles abreast of the progression of the political situation in the colonies. He wrote frequently to describe the advancements of both the British and the French who at that time were engaged in constant battles known as the Seven Years War. Since religion was a huge component of the war, the Catholic Carrolls were especially concerned with how the war between the Catholic French and the Protestant British would translate into additional discrimination against the Catholic colonists. Unfortunately, they were right to worry, since heightened anti-Catholic sentiments were the direct cause of blatant discrimination in the form of professional restrictions, stamp taxes and, later, a double tax on property. As Charles Carroll of Carrollton aged he became increasingly aware of how religion, philosophy and politics were all indicative of a society’s evolution. After completing his lower studies at St. Omers, Carroll performed collegiate studies in France that included philosophical studies in Paris, poetry in Rheims and Roman law in Bourges. As a young litterateur, Charles was enamored with the humanities, especially the philosophical writings of Locke and Montesquieu . It was Montesquieu, and later Voltaire, whose writings ignited an early passion for the republican ideals which would be the foundation of his revolutionary beliefs. After completing his higher education in France, Charles Carroll moved to London to continue his legal studies. Unfortunately, Carroll’s English legal studies were severely limited by his Catholicism. In London, as in Maryland, Catholics were not permitted to address the court. Instead, Carroll attended private tutoring, periodic lectures at Westminster and Parliamentary meetings. Charles Carroll gained practical experience through observation. He gained insight into the British parliamentary system as well as a unique understanding of how the British dealt with the growing problems presented by the colonies. Through his observations Charles Carroll of Carrollton came to deplore the excesses of the English system and the corruptions present in the Parliament. His resistance to the British constitutional monarchy paired with his extensive theological and philosophical studies formed his early belief that Maryland the other colonies “will, and must be independent.” He wrote these prophetic words as early as November of 1663, a date that left many years for his revolutionary thoughts to foment. In large part due to his correspondence with his father, Charles Carroll became increasingly aware that parliamentary restrictions on the colonies would become a point of division between the colonies and the motherland. So concerned that this would be the case, Carroll began closely monitoring the voting records in the House of Commons. In May 1764, Charles Carroll went so far as to send his father a copy of the American Act, which included the provision of the Stamp Tax. He also began sending his father literature and legal documents pertaining to the restriction and excessive taxing of Colonial Catholics. “Considerations on the Penal Laws against Roman Catholics” was among the documents sent. According to Reverend Charles Goodrich, who in 1856 wrote “Lives of the Signers of the Declaration of Independence” it can be “inferred” that Carroll’s”mind was made up at an early day as to the course duty required him to take.” Furthermore,”Charles returned from Europe filled with the “great spirit into the controversy between the colonies and Great Britain.” (Goodrich). Carroll returned to the colonies in late 1764, and briefly shifted his attention from politics to his personal future and fortune. After sixteen years abroad, Carroll was forced to acclimate to the realities inherent to the life of a wealthy, Catholic colonist. With his father’s support, Charles Carroll built his own Maryland manor, Carrollton, though he never actually used the manor as a full-time residence. While continuing to live at Doughoregan Manor Charles Carroll established himself within Maryland’s society. His social outings also served him well in his search for a wife, a topic that caused Carroll great anxiety. A prudent and financially aware young man, Carroll was particularly concerned with finding a humble, yet interesting woman with whom he could share a modest and happy life. Following the tragic death of his fiancee, Rachel Cook, Charles found a match in his cousin Mary Darnall. They married on June 5, 1768 and had seven children before Mary’s death in 1782. Unfortunately, only three lived beyond infancy: Mary, Kitty and Charles Jr. who became known as Charles Carroll of Homewood. In addition to preparing him for the social climate of his adult life, the elder Charles Carroll had indeed provided an adequate introduction for his son to develop and manage Carrollton Manor. In addition to a household staff, the Carrollton property contained orchards, livestock, a cedar mill and even a small factory for making clothes. The huge staff proved logistically difficult because Carroll’s legal skills did not easily translate into managerial skills. It was actually the employment of over three hundred slaves that caused Charles Carroll more difficulty because he expressed personal discomfort at the notion of human slavery. Even so, Carroll did slowly grow accustomed to leading the Annapolis property, Carrollton and Doughoregan Manors and it is clear that despite signing his name “Charles Carroll of Carrollton” Carroll actually preferred Doughoregan Manor. Charles spent much of his adult life in at Doughoregon and at the Annapolis property. He was responsible for the significant expansion that took place in Annapolis during the 1770’s. Carroll’s marketing creativity and his propensity toward cultivating business contacts served him well in his partnership with the politically minded social group known as the Independent Whigs. In his early discussions with the group, Carroll expressed his strong belief thatthe Maryland State Charter removed the colonial Marylanders from the jurisdiction of the British parliament. He believed, instead, that they were subject only to the loyalty and fealty to the British crown. Even so, he strongly believed it necessary to limit a government’s power, particularly in relation to religion. Carroll’s Catholicism prevented him from becoming a practicing attorney in Maryland; however, it did not prevent him from informally entering the political arena. In 1773, Charles Carroll’s political and religious opinions were spotlighted in the Maryland Gazette when he engaged in an “anonymous” debate with Daniel Dulany regarding the taxation of the Marylanders. Carroll was bitterly against these taxes and he believed these “fees” were nothing more than badly masked taxes that had been illegally placed on the colonists. Despite the fact that his wrote under the pseudonym, First Citizen, his identity was not a secret and Dulany mercilessly questioned First Citizen’s ties to Catholicism. Even in the face of unwarranted character attacks, Charles Carroll maintained his sense of decorum and Carroll rose to the debate. He argued for the expansion of religious freedom and against the bigotry of anti-Catholic laws. More specifically, he argued for the separation of church and state. In 1773, the lower house protested and the fixed fees were defeated shortly thereafter. Carroll’s revolutionary voice was formally recognized in 1774 when he was asked by Benjamin Franklin and Samuel Chase to seek aid from Canada. While his efforts in Canada were unsuccessful, his notoriety in Maryland proved useful. In 1775, Carroll became a delegate to the Revolutionary Convention in Maryland and he was instrumental in convincing Marylanders to vote on behalf of independence. Due largely to the combination of his French language fluency and Catholic ties, Carroll was sent to Canada again in 1776, right before he was named delegate to the Continental Congress, on July 4, 1776. When given the opportunity to sign the Declaration of Independence, on August 2, 1776, Charles Carroll reportedly replied that he would sign “most willingly.” Historical legend claims that when Carroll initially signed only as “Charles Carroll,” John Hancock challenged his dedication to the cause. Hancock audaciously suggested that “Charles Carroll” was a common enough name that Carroll could escape persecution by claiming a case of mistake identity. Without argument, Carroll made the designation “of Carrollton,” at which point another member was said to have whispered, “there goes another million”, in reference to the vast sum that Carroll stood to lose by signing. Charles Carroll remained on the Continental Congress from 1776 until 1778 and he was a member of the Board of War from 1776-1777. He declined re-election to the Continental Congress, but served in the US Senate from 1789 to 1792. In this position, Carroll participated in the joint Senate-House committee that approved and finalized the wording for the Bill of Rights to the US Constitution. When new laws were enacted to prevent members from serving at both the national and state levels, Charles Carroll followed his loyalty to Maryland. He gave up his national position in favor of the Maryland State Senate. Carroll’s tenure as a Maryland Senator lasted from 1777-1800. Carroll acted as Senate president and was instrumental in the ratification of a State constitution, which ensured religious freedoms. Charles Carroll was deeply involved in Maryland state politics and he must have been quite proud to host the official Maryland Celebration for Peace and Independence, in 1783. Held at his property in Annapolis, the celebration was described as an “elegant and plentiful dinner provided for the celebration of Peace on Carroll’s Green;…sheep, calves and whole ox were roasted, liquor in proportion…(April 24, 1783 Maryland Gazette). Upon his retirement, Carroll dedicated himself to his family, his business interests and the management of his land holdings, which consisted of as much as 80,000 acres in Maryland, Pennsylvania, and New York. The former included investments in the Patowmack Company, which established a canal system in the Potomac and Shenandoah Valleys, and its successor the Chesapeake and Ohio Canal Company. Carroll was also a member of the first board of directors of the Baltimore and Ohio Railroad. In 1801, Charles Carroll gave a $10,000 wedding gift to his son, Charles Jr., so that Charles could establish a family manor as both he and his father had done. Unfortunately, Charles Jr. did not share the same affinity for business as his predecessors and, even worse, Charles Jr. had a strong tendency toward the drink. It is rumored that Charles Jr. consumed up to two quarts of brandy per day. The construction of the manor, Homewood, lasted years. It was finally completed in 1808. Homewood ended up costing the outrageous sum of $40,000, which was a constant source of disagreement between father and son. Aside from his troubles with his son, Charles Carroll of Carrollton lived out his days peacefully. He briefly came out of retirement in 1828 to lay the cornerstone for the Baltimore & Ohio railroad. 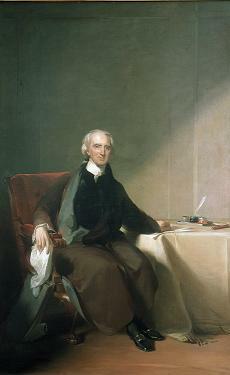 Charles Carroll died in 1832, at the age of 96. He was the final signer to pass away. He is interred in the family chapel at Doughoregan Manor, beneath the pavement beside the altar in the manor house’s chapel. Today, Charles Carroll of Carrollton is best known for being the only Catholic signer and the last living signer. There are numerous cities and counties named in his honor and his family manors remain standing. Doughoregan Manor, in Howard County near Baltimore, remains with the Carroll family. A structure that is comparable to Monticello and Mt. Vernon in its elegance, Doughoregan Manor has retained 1,400 of its original acres. It is closed to the public. The Annapolis property was acquired by the Catholic Church in 1852 and the beautiful St. Mary’s church was constructed on its grounds. Over 1,000 acres from the original property are still owned by the Carroll family and the Carroll home is currently open to the public while undergoing renovations. Carrollton Manor, on the other hand, was sold in pieces or leased out to tenants. The main structure fell into disrepair and the Carroll family eventually sold the property in 1923. Homewood Manor, the home that caused such discord between father and son, is now a historical museum located on the campus of the Johns Hopkins University. There are numerous other memorials to Charles Carroll throughout the eastern United States. These memorials include the counties that bear his surname in twelve states, the elementary and middle schools named after him, the Carroll Gardens in Brooklyn and even a residence hall at the University of Notre Dame. His likeness can be found in paintings depicting the Signers of the Declaration of Independence, such as the one that hangs in the Rotunda of the National Archives Building. In this well-known painting, by Barry Faulkner, Carroll sits in the front row, the third from the left. A statue of Charles Carroll, created by Richard E. Brooks, resides in the Statuary Hall in the U.S. Capitol. “The Catholic Encyclopedia” Volume III: 1908. Hanley, Thomas O’Brien. Charles Carroll of Carrollton: The Making of a Revolutionary Gentleman. Chicago: Loyola University Press, 1982. My grandmother, Mary Carroll, was descended from the Charles Carroll III family. I’m sure the Carroll family was sufficiently prolific that I have a lot of unknown Carroll cousins. Harvey, we have no entries for any of the Carrolls with the postscript, III. We have 15 Mary middle name Carroll. 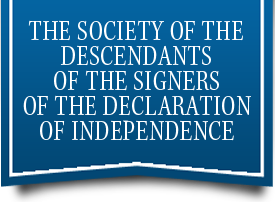 So it is hard to say if you are a descendant of the Signer or not. We have a record of only 813 descendant from the first generation to the ninth generation, but we know we are missing names. For that reason I would encourage you to join the Society to assist us in filling in some of the missing genealogical information. Mary, I have no record of Ephriam. There are some John’s but nothing that comes close to matching your data. I am also not finding any records with Kentucky or Missouri showing up in the location. I have long been told I am a descendant of the famous Charles Carroll family and I’d love to find confirmation one way or the other. My 3rd great-grandfather was Dr. James J. Carroll b.ca. 1822. The most reliable info is that he was born in North Carolina. He married Hannah W Larkin of Tennessee at Alabama in 1845 before dying of Typhoid in 1850 at the age of 28. Any assistance or suggestions you can provide would be greatly appreciated. Greg, I am afraid I cannot verify the facts you present. First there are no James J. Carrolls in the list of know descenddants. Second based on the birth year of circa 1822, this would make your James a third generation descendant. There was one male Carroll to father this generation and all of his children were born in Baltimore. I have no indication that there was a descendant branch of the Carrolls in the Carolinas in the 1820’s or so. I did find James and his wife on a family tree posted at rootsweb.com, but no antecedents for the couple. For a thorough and and engaging history of the Carrolls, see “Princes of Ireland, Planters of Maryland” by Ronald Hoffman. 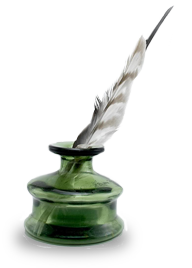 Among its tidbits: Charles of Annapolis lived with but did not marry Charles the Signer’s mother, Elizabeth Brooke, until the Signer was about 20 – and deemed by his father fit to inherit! Worth noting that despite the restrictions against Catholic participation in government affairs, the Carrolls were perhaps the wealthiest family in Maryland. Hoffmans great book also recounts the important work of the Signer’s cousins, including John Carroll, SJ, first Catholic bishop in America and founder of Georgetown University, and Daniel of Rock Creek, who George Washington asked to assemble the land parcels along the Potomac for what became Washington City.